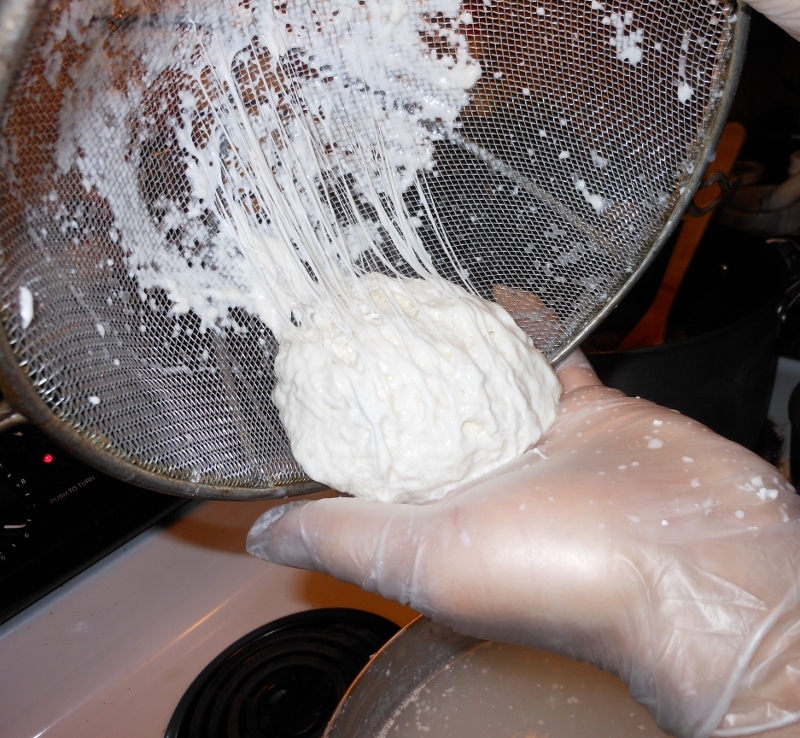 Mozzarella Success ~ Homemade Cheese ~ …time to get Goats! 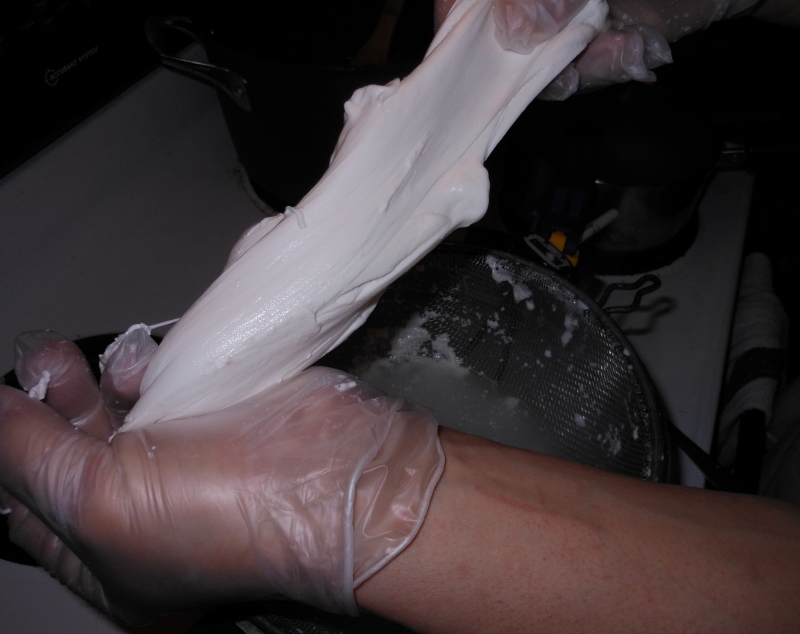 I posted before about our failed attempt at making cheese. Well, the second try was a success. All of the recipes online that say it only takes 30 minutes are oh so wrong! I didn’t time the process but it was way longer and more tedious than any of the recipes implied ~ don’t get me wrong it was very fun and I am sure will go much quicker with practice but there are some steps that can’t be sped up and heating that can’t be rushed. It was so hard to tell when the time was right to move from step to step. Was the whey clear enough? Was the curd firm enough? So many questions and no definite answers. We decided after many more minutes than the instructions said the curd was ready to cut and heat again and move on to the next steps. 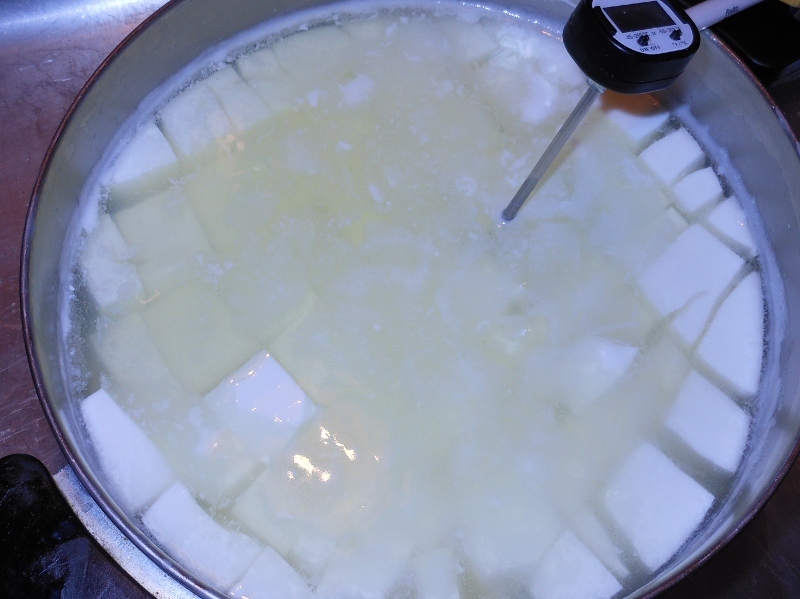 We went with the salted water method to bring the curd together; most instructions said to use the whey water or a microwave method but we used salt water on the stove top to dip the curd into before kneading and stretching the cheese. 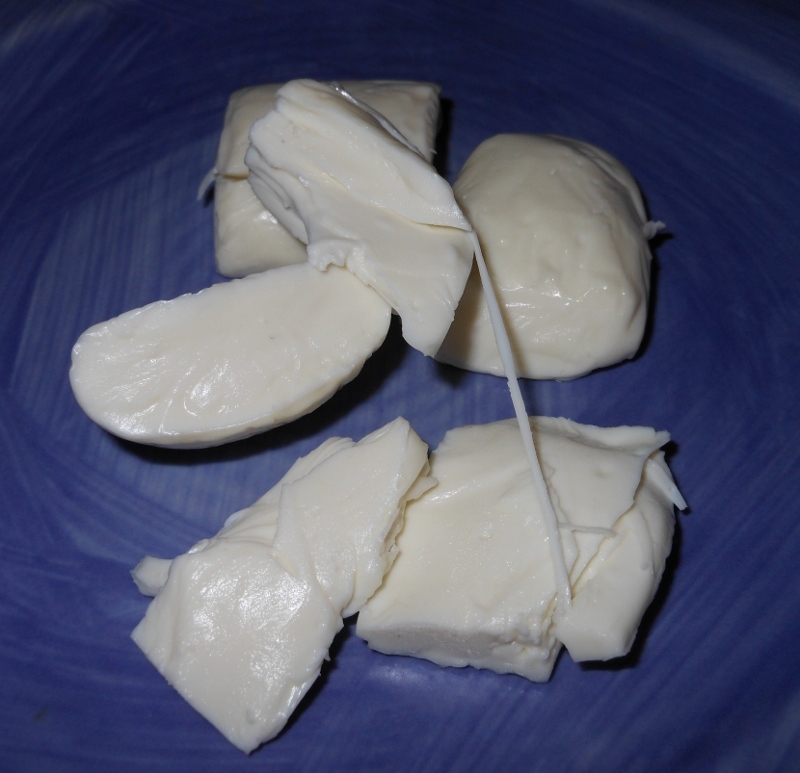 The final result was some great creamy cheese ~ looking forward to trying again maybe working in a little more salt. We just ate most of it ~ saved some for melting on our stuffed mushrooms too but most of it just got eaten right away! I don’t think I’ve given credit yet, but Charles did almost all of the work. I was just there for moral support and gentle nagging and of course taste testing! Now as for the goats ~ Charles has talked of them for a while and with any luck will get some this spring then goat milk will be a plenty. 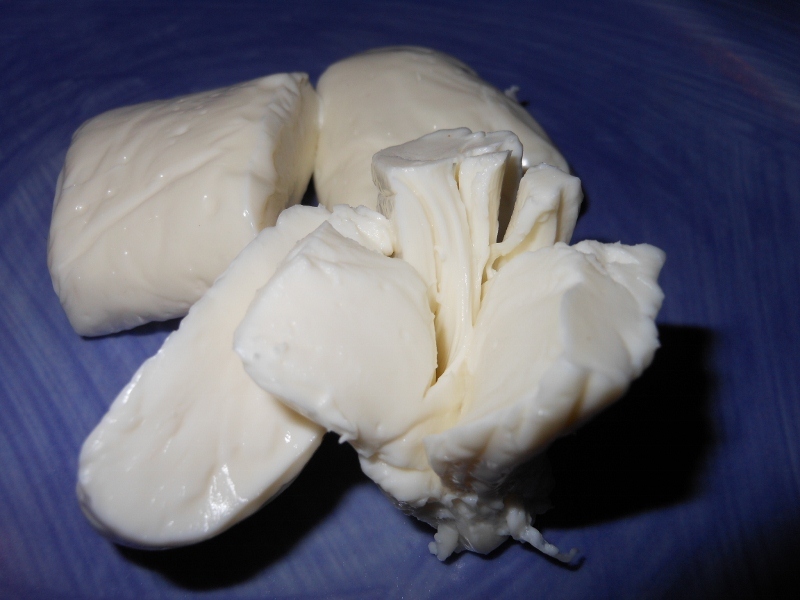 Homemade chévre sounds oh so good!